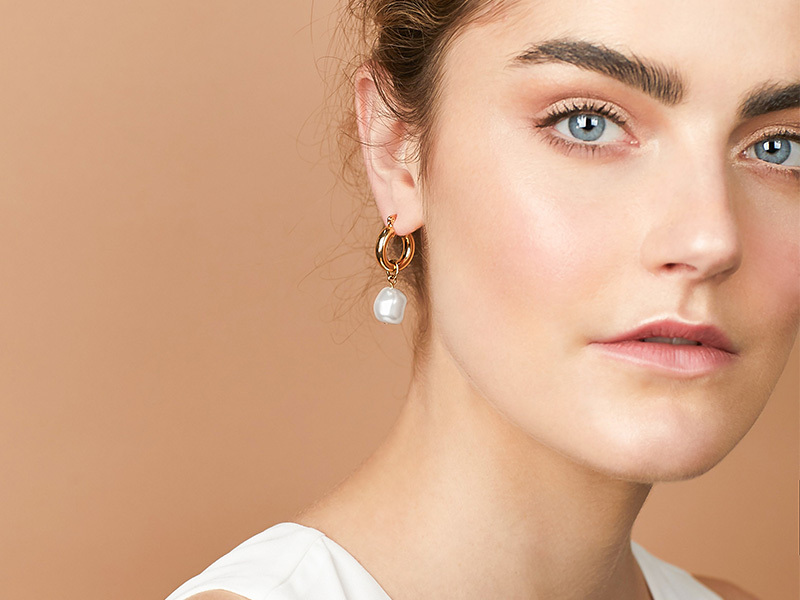 Pearl drop earrings are more versatile than you think. Pearls make your office outfit look more professional, brighten up your casual jeans look and add the glam for special events. It’s all in the design of the pearl drop earrings. Pearl earrings have been a classic jewelry piece since your grandmother’s time. Every woman should have them in her jewelry collection. This doesn’t mean that styles don’t change, though. Today’s designs for pearl drop earrings are different from what your grandmother wore but just as feminine. Always had a love for pearls but aren’t sure how to style them to still look modern? Don’t worry, we got you. When you want to find out how to style earrings, all you have to do is check out our blog. Follow these tips on how to style pearl drop earrings. Before you know it you will have a full stock of pearls to wear to any occasion. Don’t go the expected route with pearl drop earrings. Instead, choose a fresh design unlike anything you’ve ever seen before. This gives your earrings more edge and separates the style from anything old-fashioned. Which details are unexpected and fun? Think of playing with different colors and shapes of pearls. Not all pearls are perfect milky baubles, after all. Also, add texture and color with different materials and techniques. Choose an enamel effect or combine with gems and wood. Then, continue the line of unexpected pairings in your outfit, as well. Pearl studs are a classic office outfit accessory piece, for example. 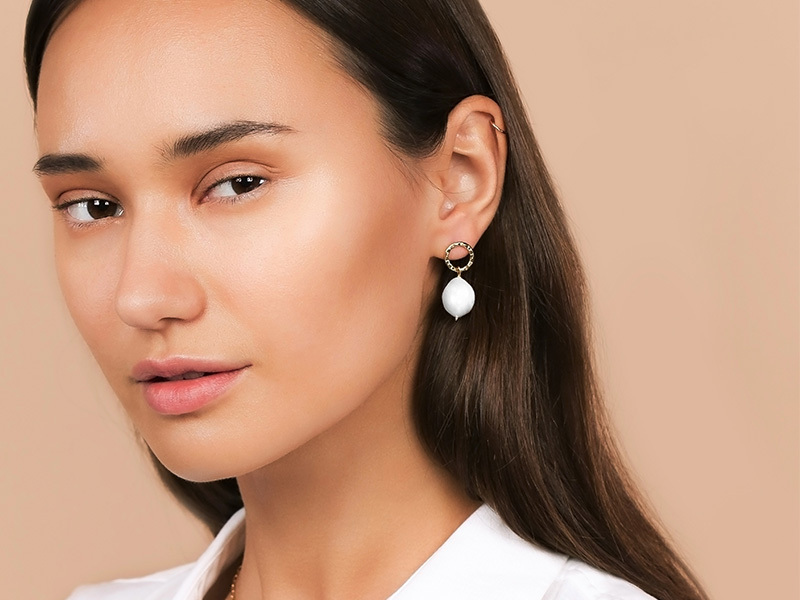 Mix it up by wearing sleek and simple pearl drop earrings, instead. The earrings could be a series of tiny pearls, a large black oval-shaped pearl or a short silver string with a pearl bauble. As a general rule, shorter drop earrings work better for a day look like brunch or work. Longer earrings are more dramatic and so look great on a date night or special occasion. The same goes for pearl drop earrings. The longer the drop, the rarer the occasion. Color and shape are important design aspects to remember when choosing the length of pearl earrings. Shorter drop earrings look best in a brighter color. This makes the earrings more noticeable, even when you have your hair down. Longer earrings look absolutely glam incorporated with silver and clear stones. The more length the earring has, the more creative the earring shape can be. Traditionally, pearls are a very feminine accessory. However, newer designs of pearl drop earrings can still look edgy. Emphasize the cool girl in you by pairing pearl earrings with street wear like ripped jeans, sweater dresses and graphic tees. If you want to go this route then choose an earring design that matches. Choose darker pearl colors like blue, gray and black. You can also add texture with semi-precious stones in the same color like black pearls with onyx. Wood and silver colored metals fit this style better than yellow and rose gold. Also, go for shapes that are geometric or minimalist designs. The other styling option for pearl drop earrings is to embrace their classic style and go vintage. Pair them with flowing midi dresses, ruched tops and polka dots. You don’t need to go literal, though. Keep it funky with a polka dot pant and a plain top, for example. For a vintage look, choose white pearls and rose gold. The warm tones give a more romantic and feminine feel. Opt for drop earring designs that are delicate and intricate. Think flower-like patterns, teardrop shapes and enamel. There are two options for pairing pearl earrings with other jewelry pieces. You can either have the pearls come back in the other pieces or limit the pearls to your earrings alone. The first option is the more classic look and works well for formal occasions. Limiting the pearls lets you get more creative and unexpected. Feel like showering yourself in pearls? Then let your jewelry be the focus point of your look. Pick bold earrings, a pearl pendant necklace and a matching ring or bracelet. Keep the rest of the outfit monochromatic to let the color of pearls stand out. Is one pearl jewelry piece enough for you? Then have fun by mixing and matching your jewelry. Try matching with different gemstones to create a color pattern that complements your outfit. You can also put together different materials like leather or lace to create textures. Just remember that each piece needs to correspond to the pearl earrings somehow. This could be in color, shape or material. There you have it, lots of ideas so that you can start styling your pearl earrings today. Get creative, have fun and experiment with these beautiful gems. If you enjoyed reading this article, check out our other articles as well. We publish daily articles with style inspiration, buying guides and more. If you want to get any of the gorgeous designs featured in this article (and we know you do), visit Ana Luisa online jewelry shop. Get to see our unique pearl earrings collections and choose the designs that fir your personal style the best.